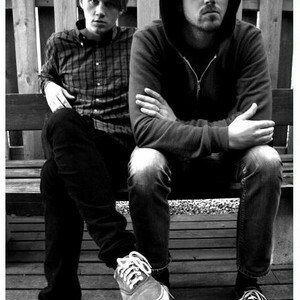 Johnossi is a rock duo from Saltsj?baden, Stockholm, Sweden. The band consists of John Engelbert on vocals and guitar, and Oskar "Ossi" Bonde on drums and vocals. The members' names form the band name Johnossi. Although there are only two members in the band they have a lot of energy, both live and on recordings. Ossi plays powerful drums and John prefers to play an acoustic guitar which further characterizes their sound. Although there are only two members in the band they have a lot of energy, both live and on recordings. Ossi plays powerful drums and John prefers to play an acoustic guitar which further characterizes their sound. They have toured extensively since their first album - both as headliner and together with The Soundtrack of Our Lives.